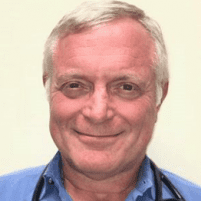 Testimonials & Reviews - Wexford, PA: John L Behm, M.D. Dr. John L Behm always appreciates feedback from his valued patients. To date, we’re thrilled to have collected 77 reviews with an average rating of 4.81 out of 5 stars. Please read what others are saying about Dr. John Behm below, and as always, we would love to collect your feedback. He takes the time to listen to my concerns. As always, Dr. Behm provides excellent care, helping to keep me healthy, while educating me and explaining what my test results mean! I’m highly recommending Dr. Behm. He’s been my doctor for more than 20 years! As usual, an excellent, informative visit with Dr. Behm. Kind staff, approachable and warm bedside manner from Doctor. Very willing to listen to whatever you need to say in order to understand your problem. Dr Behm is a very caring physician that treats you like a person with dignity not a diagnosis. He’s been my physician for many years and I’m very thankful for that! I was able to get a same-day appointment! Dr. Behm was on time, caring and responsive to my needs. Thank you!! I always feel that Dr. Behm has my best interest, health and well-being primary when I come for my appointments. Have been seeing Dr.Behm for a number of years now he has helped my life in ways I can’t put to words, most compassionate, amazing doctor I’ve ever had the pleasure of dealing with. Great guy Dr.Behm he’s literally been a life saver and helped me start to become the man I want to be! Thanks everyone you’re an amazing practice I will never switch from this place amazing doctor truly cares a lot about everyone and inspires me to be better and works me to be the best me I can! Dr Behm and his staff are both professional and comfortable to work with..
Dr John was very informative and caring. I’ve never had a Physcian take that much time with me. Like always, thorough and friendly. Always a pleasant experience at the office. Staff is polite and they are always on a timely schedule.